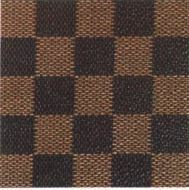 1 On 18 September 1996, the applicant, Louis Vuitton Malletier, filed a Community trade mark application at the Office for Harmonisation in the Internal Market (Trade Marks and Designs) (OHIM), pursuant to Council Regulation (EC) No 40/94 of 20 December 1993 on the Community trade mark (OJ 1994 L 11, p. 1), as amended (replaced by Council Regulation (EC) No 207/2009 of 26 February 2009 on the Community trade mark (OJ 2009 L 78, p. 1)). 3 The goods in respect of which registration was sought are in Class 18 of the Nice Agreement concerning the International Classification of Goods and Services for the Purposes of the Registration of Marks of 15 June 1957, as revised and amended, and correspond to the following description: ‘Goods made of leather or imitations of leather not included in other classes in particular boxes of leather or of leatherboard, envelopes of leather for packaging; trunks, valises, travelling bags, travelling sets, garment bags for travel, vanity-cases, rucksacks, handbags, beach bags, shopping bags, shoulder bags, attaché-cases, briefcases, pouches, fine leather goods namely pocket wallets, purses, key-holders, card holders, checkbook holders; umbrellas, parasols, ombrelles, canes, walking-stick seats’. 4 The application was published in Community Trade Marks Bulletin No 19/1998 of 16 March 1998. 5 On 27 August 1998, the applicant was granted registration of the abovementioned Community figurative mark under number 370445. 6 On 28 September 2009, the intervener, Nanu-Nana Handelsgesellschaft mbH für Geschenkartikel & Co. KG, filed an application for a declaration of invalidity relating to all of the goods protected by the registration of the Community trade mark, in accordance with Article 52(1)(a) and Article 7(1)(b), (c), (d), (e)(iii) and (f) of Regulation No 207/2009. That application was based on the fact that the contested trade mark was descriptive and devoid of any distinctive character, that it had become customary in the current language or in the bona fide and established practices of the trade, that it consisted exclusively of the shape which gives substantial value to the goods and that it was contrary to public policy or to accepted principles of morality. The intervener also claimed that the applicant had acted in bad faith when filing the application for the trade mark, within the meaning of Article 52(1)(b) of Regulation No 207/2009. 7 By decision of 11 July 2011, the Cancellation Division upheld the application for a declaration of invalidity on the basis of Article 7(1)(b) of Regulation No 207/2009, read in conjunction with Article 52(1)(a) of that regulation, and Article 7(3) of that regulation, read in conjunction with Article 52(2) of that regulation. The Cancellation Division, first, held that the Community trade mark consisted of a chequerboard pattern with a weft and warp structure intended to be applied to the surface of the goods in question. It went on to hold that that pattern was one of the most basic patterns used as a decorative element, and as such the relevant public would see it as merely a decorative feature and not as a sign indicating the origin of the goods in question and that, in any event, the contested trade mark did not depart significantly from the norms or customs of the sector. It considered, lastly, that the documents submitted by the proprietor of the Community trade mark did not prove that, at the date of filing or after its registration, the Community trade mark had acquired distinctive character through the use which had been made of it in at least a substantial part of the European Union, namely Denmark, Portugal, Finland and Sweden. 8 On 9 September 2011, the applicant filed a notice of appeal against the decision of the Cancellation Division. 9 By decision of 4 May 2012 (‘the contested decision’), the First Board of Appeal of OHIM upheld the decision of the Cancellation Division and therefore dismissed the appeal. 10 The Board of Appeal stated, in essence, first, in paragraph 37 of the contested decision, that the chequerboard pattern, as represented in the contested trade mark, was a basic and banal feature composed of very simple elements and that it was well-known that that feature had been commonly used with a decorative purpose in relation to various goods, including those falling within Class 18. The Board of Appeal went on to hold, in paragraphs 41 and 42 of the contested decision, that the contested trade mark, in the absence of features capable of distinguishing it from other representations of chequerboards, was not capable of fulfilling the essential ‘identification’ or ‘origin’ function of a trade mark. Furthermore, in paragraphs 43 and 47 of that decision, the Board of Appeal considered that the weft and warp structure of the contested trade mark did not constitute a substantial feature of that trade mark and did not give it a distinctive character. Moreover, according to paragraph 46 of the contested decision, the fact that the weft and warp structure of that trade mark had been copied does not demonstrate that it acted as an indication of commercial origin for the relevant public. The same was true, according to paragraph 48 of the contested decision, of the specific combination of colours, namely brown and beige. The Board of Appeal therefore found, in paragraph 49 of the contested decision, that the contested trade mark was very simple and contained no element capable of individualising it in such a way that it would not appear as a common and basic chequerboard pattern. It added, in paragraph 50 of the contested decision, that signs such as the contested trade mark were typically used as supplementary signs which coexisted beside the manufacturer’s house mark and, therefore, the Board of Appeal concluded, in paragraph 51 of the contested decision, that that trade mark was devoid of any distinctive character. The Board of Appeal also took the view, in paragraph 55 of the contested decision, that the documents produced by the proprietor of the contested trade mark did not demonstrate that the relevant public would be in the habit of making an assumption on the commercial origin of the goods at hand based on patterns. Lastly, the Board of Appeal considered, in paragraphs 73 to 75 of the contested decision, that, on the basis of the evidence provided by the applicant, it had not been established that the contested trade mark had acquired distinctive character through the use which had been made of it in a substantial part of the relevant territory, namely in Denmark, Portugal, Finland and Sweden, either at its filing date or after its registration. – order the intervener to pay the costs incurred in the proceedings before the Cancellation Division and the Board of Appeal. 13 At the hearing, the intervener, in response to a question by the Court, expressly withdrew the additional arguments that it had relied on already in its original application for a declaration of invalidity and that it had repeated in its response, which were based on the fact that the registration of the contested mark had also been obtained in breach of Article 7(1)(b) to (d), Article 7(e)(iii) and Article 7(f) of Regulation No 207/2009, a formal note of which was recorded in the minutes of the hearing. 14 In support of its action, the applicant raises two pleas in law, alleging infringement, first, of Article 7(1)(b) and of Article 52(1) of Regulation No 207/2009 and, second, of Article 7(3) and Article 52(2) of that regulation. 15 It should be noted that the first plea, alleging a breach of Article 7(1)(b) and Article 52(1) of Regulation No 207/2009, is divided into two limbs. By the first limb, the applicant, in essence, complains that the Board of Appeal did not confine itself to assessing whether the contested trade mark had a minimum degree of distinctive character, but also assessed whether that trade mark had other features which could attract the attention of the relevant consumer, thus requiring that trade mark to reach a higher threshold of distinctive character. The applicant also complains that the Board of Appeal incorrectly presented the contested trade mark as if it were a broad claim for a chequerboard pattern alone. In addition, the applicant considers that the Board of Appeal wrongly assessed, on the one hand, the contested trade mark with regard to the goods in Class 18, and, on the other hand, the perception of the relevant public. By the second limb, the applicant submits that the Board of Appeal breached the rules relating to the burden of proof. 16 It should be recalled that, under Article 52(l)(a) of Regulation No 207/2009, a Community trade mark is to be declared invalid on application to OHIM where that mark has been registered contrary to the provisions of Article 7 of that regulation. 17 According to the case-law, an absolute ground for refusal must be interpreted in the light of the general interest underlying it. As regards Article 7(1)(b) of Regulation No 207/2009, the underlying notion of general interest is, manifestly, indissociable from the essential function of a trade mark, which is to guarantee the identity of the origin of the marked product or service to the consumer or end-user by enabling him, without any possibility of confusion, to distinguish the product or service from others which have another origin (see, judgment of 8 May 2008 in Eurohypo v OHIM, C‑304/06 P, ECR, EU:C:2008:261 paragraphs 55 and 56 and case-law cited). 18 For a trade mark to possess distinctive character for the purposes of Article 7(1)(b) of Regulation No 207/2009, it must serve to identify the product in respect of which registration has been applied for as originating from a particular undertaking, and thus to distinguish that product from those of other undertakings (see judgment of 29 April 2004 in Henkel v OHIM, C‑456/01 P and C‑457/01 P, ECR, EU:C:2004:258, paragraph 34 and case-law cited). 19 That distinctive character must be assessed, first, by reference to the products or services in respect of which registration has been applied for and, second, by reference to the perception of the relevant public, which consists of average consumers of the products or services in question, who are reasonably well informed and reasonably observant and circumspect (see judgments in Henkel v OHIM, paragraph 18 above, EU:C:2004:258, paragraph 35, and of 22 June 2006 in Storck v OHIM, C‑25/05 P, ECR, EU:C:2006:422, paragraph 25). The level of attention of the average consumer, who is deemed to be reasonably well informed and reasonably observant and circumspect, varies according to the category of the products and services in question (judgment of 10 October 2007 in Bang & Olufsen v OHIM (Shape of a loudspeaker), T‑460/05, ECR, EU:T:2007:304, paragraph 32). 20 According to equally established case-law, the criteria for assessing the distinctive character of three-dimensional marks consisting of the appearance of the product itself are no different from those applicable to other categories of trade mark (see judgments in Storck v OHIM, paragraph 19 above, EU:C:2006:422, paragraph 26 and case-law cited, and of 19 September 2012 in Fraas v OHIM (Tartan pattern in dark grey, light grey, black, beige, dark red and light red), T‑50/11, EU:T:2012:442, paragraph 40). 21 However, it should be borne in mind that, for the purpose of applying those criteria, the relevant public’s perception is not necessarily the same in the case of a three-dimensional mark, which consists of the appearance of the product itself, as it is in the case of a word or figurative mark, which consists of a sign unrelated to the appearance of the products it denotes (see judgments in Storck v OHIM, paragraph 19 above, EU:C:2006:422, paragraph 27 and case-law cited, and Tartan pattern in dark grey, light grey, black, beige, dark red and light red, paragraph 20 above, EU:T:2012:442, paragraph 40). 22 Average consumers are not in the habit of making assumptions about the origin of products on the basis of their shape or the shape of their packaging in the absence of any graphic or word element and it could therefore prove more difficult to establish distinctiveness in relation to such a three-dimensional mark than in relation to a word or figurative mark (see judgments in Storck v OHIM, paragraph 19 above, EU:C:2006:422, paragraph 27 and case-law cited, and Tartan pattern in dark grey, light grey, black, beige, dark red and light red, paragraph 20 above, EU:T:2012:442, paragraph 40). 23 Furthermore, in accordance with the case-law, the more closely the shape in respect of which registration as a trade mark is applied for resembles the shape most likely to be taken by the product in question, the greater the likelihood of the shape being devoid of any distinctive character for the purposes of Article 7(1)(b) of Regulation No 207/2009. In those circumstances, only a mark which departs significantly from the norm or customs of the sector and thereby fulfils its essential function of indicating origin is not devoid of any distinctive character for the purposes of Article 7(1)(b) of Regulation No 207/2009 (judgments in Henkel v OHIM, paragraph 18 above, EU:C:2004:258, paragraph 39; of 12 January 2006 in Deutsche SiSi-Werke v OHIM, C‑173/04 P, ECR, EU:C:2006:20, paragraph 31; and also judgment of 21 April 2010 in Schunk v OHIM (Presentation of part of a chuck), T‑7/09, EU:T:2010:153, paragraph 19 and case-law cited). 24 That case-law, which was developed in relation to three-dimensional trade marks consisting of the appearance of the product itself, also applies where the contested mark is a figurative mark consisting of the two-dimensional representation of that product. In such a case, the mark likewise does not consist of a sign unrelated to the appearance of the products it covers (see, to that effect, judgment in Storck v OHIM, paragraph 19 above, EU:C:2006:422, paragraph 29; order of 13 September 2011 in Wilfer v OHIM, C‑546/10 P, EU:C:2011:574, paragraph 59; judgments of 14 September 2009 in Lange Uhren v OHIM (Geometric shapes on a watch-face), T‑152/07, EU:T:2009:324, paragraph 70; and Tartan pattern in dark grey, light grey, black, beige, dark red and light red, paragraph 20 above, EU:T:2012:442, paragraph 42). 25 That is also the case for a figurative mark consisting of a part of the shape of the product that it represents, inasmuch as the relevant public will immediately and without further thought perceive it as a representation of a particularly interesting or attractive detail of the product in question, rather than as an indication of its commercial origin (Tartan pattern in dark grey, light grey, black, beige, dark red and light red, paragraph 20 above, EU:T:2012:442, paragraph 43). 26 It is in the light of those considerations that the applicant’s arguments challenging the legality of the contested decision must be examined. 27 In the first place, it must be noted that, in the present case, the parties do not dispute the Board of Appeal’s assessment, in paragraph 29 of the contested decision, that the goods covered by the contested mark are for everyday use, so that the relevant public is made up of the average consumer in the European Union, taken to be reasonably well informed and reasonably observant and circumspect. Furthermore, as the Board of Appeal correctly points out, it is not apparent from the description of the goods in question that they are luxury goods or goods that are so sophisticated or expensive that the relevant public would be likely to be particularly attentive with regard to them. 28 In the second place, it must be held that, having regard to the goods in question, the contested mark is presented in the form of a pattern intended either to be placed on part of the goods or to cover the whole of their surface area, as the applicant expressly admitted at the hearing in response to a question by the Court. 29 Thus, with regard to the goods in question, namely leather and imitation leather goods, various bags, wallets, umbrellas and sunshades which may contain fabric parts, the pattern at issue may to a greater or lesser extent cover their surface and thus correspond to the outward appearance of the goods (see, to that effect, Tartan pattern in dark grey, light grey, black, beige, dark red and light red, paragraph 20 above, EU:T:2012:442, paragraph 50). 30 It follows that the Board of Appeal was correct to hold, in paragraph 33 of the contested decision, that the determinative factor for the contested mark was the fact that it coincided with the appearance of the product in question. 31 Consequently, contrary to the applicant’s submission that the Board of Appeal required it, wrongly, to demonstrate that the contested mark had reached a higher threshold of distinctive character, the Board of Appeal was, on the contrary, fully entitled to base its assessment of the distinctive character of the contested mark on the principles applicable to three-dimensional marks. The considerations set out in paragraphs 24 and 25 above justify the application of the case-law developed in respect of three-dimensional marks, cited in paragraphs 20 to 23 above, also to figurative marks consisting in the shape of the product concerned or a part of the shape of the product concerned, since such marks are also not unrelated to the appearance of the product that they designate (see, to that effect, Tartan pattern in dark grey, light grey, black, beige, dark red and light red, paragraph 20 above, EU:T:2012:442, paragraph 53). 32 In the third place, it is necessary to examine the applicant’s argument that a practice exists whereby figurative marks of this kind are used for the purposes of commercial identification in the marketing of goods to which the contested mark relates, with the result that the public is accustomed to perceiving as trade marks signs other than word marks, and in particular patterns covering the entire surface of leather articles of various kinds. It follows, according to the applicant, that it suffices that the mark at issue has a minimum degree of distinctive character to retain the registration granted. 33 In that regard, it should be recalled that the Court of Justice has already rejected, in the order in Wilfer v OHIM, paragraph 24 above, (EU:C:2011:574, paragraph 55), the argument that goods, in respect of which the consumer is accustomed to the shape of certain components of the whole product serving to indicate the product’s origin, are excluded from the application of the case-law referred to in paragraph 23 above. The Court found, on the contrary, that it follows from that case-law that, if the appearance of goods in a given sector, or that of a component of those goods, serves to indicate the manufacturer, that is only because the appearance of a sufficient number of those goods or of their components differs significantly from the norm or customs of that sector (order in Wilfer v OHIM, paragraph 24 above, EU:C:2011:574, paragraph 56, and judgment in Tartan pattern in dark grey, light grey, black, beige, dark red and light red, paragraph 20 above, EU:T:2012:442, paragraph 58). 34 It follows that, in any event, the applicant’s argument that consumers are accustomed to perceiving a pattern as an indication of the commercial origin of goods is irrelevant because the fact that such signs are recognised as marks by consumers does not necessarily mean that they have an inherent distinctive character. It is in fact possible for a mark to acquire distinctive character through use over time (see judgment of 28 September 2010 in Rosenruist v OHIM (Representation of two curves on a pocket), T‑388/09, EU:T:2010:410, paragraph 33). 35 In the fourth place, it must be examined whether the pattern at issue differs significantly from the norm or customs of the sector and, accordingly, allows consumers to identify the pattern corresponding with the contested form of presentation as originating from a particular company and therefore to distinguish it from patterns originating from other companies. 36 In the present case, the contested mark consists, as the Board of Appeal correctly held in paragraph 30 of the contested decision, of a regular pattern of squares in two alternating colours, namely brown and beige, which is reminiscent of a chequerboard pattern. A weft and warp structure, which constitutes, as the applicant points out, a pattern within a pattern, also appears on the inside of the squares in the manner of a weaving method shown by two interlacing threads. 37 On the one hand, the chequerboard pattern is a basic and commonplace figurative pattern, since it is composed of a regular succession of squares of the same size which are differentiated by alternating different colours, in this case brown and beige. The pattern thus does not contain any notable variation in relation to the conventional representation of chequerboards and is the same as the traditional form of such a pattern. Even applied to goods such as those falling within Class 18, the pattern in question does not differ from the norm or customs of the sector inasmuch as such goods are generally covered with fabrics of different kinds, and the chequerboard pattern, due to its great simplicity, might constitute precisely one of those patterns. 38 In that regard, as the Board of Appeal correctly stated in paragraph 37 of the contested decision, without being challenged on this point by the applicant, the chequerboard pattern is one that has always existed and has been used in decorative arts. The latter, notwithstanding the applicant’s denials, have an indisputable link with the goods in Class 18. In that regard and in any event, it is clear from information contained in OHIM’s case-file that such a pattern has been commonly used in the decorative sector (in particular, clothes and floor tiles) and also appears in the Bayeux tapestry. 39 On the other hand, the weft and warp pattern that appears on the inside of each of the chequerboard squares corresponds with the desired visual effect of interlacing two different fabrics, of whatever type they may be (wool, silk, leather, etc. ), which is thus customary as regards goods such as those within Class 18. 40 Applied to the goods within Class 18 at issue in the present case, the presentation of a chequerboard in the alternating colours of brown and beige and the impression of interlacing threads do not, from a graphic point of view, contain any notable variation in relation to the conventional presentation of such goods, so that the relevant public will in fact perceive only a commonplace and everyday pattern. 41 It should be noted that the juxtaposition of two elements that are not in themselves distinctive cannot alter the perception of the relevant public as to the absence of distinctive character, ab initio, of the contested mark. The juxtaposition of a chequerboard and of a weft and warp pattern does not give rise to any element that diverges from the norm or customs of the sector concerned; accordingly, the applicant’s submission that the contested mark is complex, particular and original cannot succeed (see, to that effect, judgment in Tartan pattern in dark grey, light grey, black, beige, dark red and light red, paragraph 20 above, EU:T:2012:442, paragraph 70). 42 The applicant is also incorrect in its submission that the Board of Appeal has wrongly assessed the contested mark in that it reduced it to a chequerboard rather than examining it taking account of all of its features (namely, the chequerboard device, the weft and warp structure and the brown and beige colours). 43 In addition to the fact — noted moreover by the applicant — that the Board of Appeal correctly described, in paragraph 30 of the contested decision, the contested mark as being composed of a chequerboard pattern with alternating colours of brown and beige and presenting a weft and warp structure, it is apparent from subsequent parts of the contested decision that the Board of Appeal examined in turn, first, in paragraphs 37 to 42 of the contested decision, the chequerboard pattern, next, in paragraphs 43 to 47 of the decision, the weft and warp structure and, finally, in paragraph 48 of that decision, the combination of colours used, namely brown and beige, in order to reach the conclusion, in paragraphs 49 to 51 of the contested decision, in the context of an analysis of the overall impression created by that juxtaposition of elements, that the contested mark was devoid of any distinctive character. 44 While it is true that the Board of Appeal examined the pattern formed by the weft and warp structure after concluding that the chequerboard pattern was devoid of any distinctive character, it must be recalled that, for the purposes of assessing the distinctive character of a trade mark made up of several components (a composite mark), it is necessary to consider it as a whole. However, that is not incompatible with an examination of each of the mark’s individual components in turn (judgment of 20 November 2002 in Bosch v OHIM (Kit Pro and Kit Super Pro), T‑79/01 and T‑86/01, ECR, EU:T:2002:279, paragraph 22; see also, to that effect, judgment of 19 September 2001 in Procter & Gamble v OHIM (Square tablet, white with green speckles and pale green), T‑118/00, ECR, EU:T:2001:226, paragraph 59). 45 Thus, the Board of Appeal, in, on the one hand, examining the various components of the contested mark in turn, and, on the other hand, carrying out an assessment of the contested mark as a whole, did not infringe Article 7(1)(b) of Regulation No 207/2009 (see, to that effect, the judgment in Eurohypo v OHIM, paragraph 17 above, EU:C:2008:261, paragraph 41 and case-law cited). 46 It also follows from the foregoing analysis that the applicant is wrong to claim that the Board of Appeal carried out a separate examination of the various components that make up the contested mark instead of examining the contested mark as a whole. 47 In the fifth place, as regards the applicant’s submission that other signs similar to the contested mark have been registered as Community trade marks, it should be recalled that the decisions that the Boards of Appeal are required to take, under Regulation No 207/2009, concerning the registration of a sign as a Community trade mark, are adopted in the exercise of circumscribed powers and are not a matter of discretion. Accordingly, the legality of the decisions of Boards of Appeal must be assessed solely on the basis of that regulation, as interpreted by the Courts of the European Union, and not on the basis of a previous decision-making practice of those boards (judgments of 15 September 2005 in BioID v OHIM, C‑37/03 P, ECR, EU:C:2005:547, paragraph 47, and 13 April 2011 in Air France v OHIM (Shape of a parallelogram), T‑159/10, EU:T:2011:176, paragraph 37). 48 It should be added that it is true that OHIM is under a duty to exercise its powers in accordance with the general principles of EU law, such as the principle of equal treatment and the principle of sound administration (judgment of 10 March 2011 in Agencja Wydawnicza Technopol v OHIM, C 51/10 P, ECR, EU:C:2011:139, paragraph 73). 49 In the light of the two last mentioned principles, OHIM must, in proceedings for a declaration of invalidity of a Community trade mark, take into account the decisions already taken in respect of registrations of similar trade marks and consider with especial care whether it should decide in the same way or not (see, to that effect, judgment in Agencja Wydawnicza Technopol v OHIM, paragraph 48 above, EU:C:2011:139, paragraph 74 and case-law cited). 50 However, the way in which the principles of equal treatment and sound administration are applied must be consistent with respect for legality. 51 Consequently, a person who opposes an application for a declaration of invalidity of a registered trade mark cannot rely, to his advantage and in order to secure an identical decision, on a possibly unlawful act committed to the benefit of someone else (see, to that effect, judgment in Agencja Wydawnicza Technopol v OHIM, paragraph 48 above, EU:C:2011:139, paragraph 76 and case-law cited). 52 In the present case, it was established that the Community mark — in view of the goods for which the registration had been granted and the perception of the relevant class of persons — was caught by one of the grounds for refusal laid down in Article 7(1)(b) of Regulation No 207/2009, read in conjunction with Article 52(1) thereof. 53 It follows from the foregoing that the first limb of the first plea must be rejected. 54 According to the applicant, since the contested mark has been registered, it is for the person challenging the validity of its registration to rebut the presumption of validity of the mark. 55 It follows from that premiss that it is, according to the applicant, for the party contesting the distinctive character of the registered mark to show that the Board of Appeal had erred in finding that the contested mark was capable of being registered. 56 The applicant adds that the Board of Appeal cannot make up for the shortcomings of the applicant for a declaration of invalidity by relying on its own ‘general experience’ in order to rebut the presumption of validity of the registration of the contested mark. 57 Under Article 52(1)(a) of Regulation No 207/2009, a Community trade mark is to be declared invalid where that trade mark has been registered contrary to the provisions of Article 7 of that regulation. 58 Article 57(1) of Regulation No 207/2009 provides that, when examining an application for a declaration of invalidity, OHIM is to invite the parties, as often as necessary, to file observations, within a period to be fixed by OHIM, on communications from the other parties or issued by itself. Under Article 57(5), if the examination of the application for a declaration of invalidity reveals that the trade mark should not have been registered in respect of some or all of the goods or services for which it was registered, the mark is to be declared invalid in respect of those goods or services. 59 In addition, in accordance with Article 76(1) of Regulation No 207/2009, when examining the absolute grounds for refusal, OHIM examiners and, on appeal, the Boards of Appeal of OHIM are required to examine the facts of their own motion in order to determine whether the mark applied for falls under one of the grounds for refusal of registration laid down in Article 7 of that regulation. It follows that the competent bodies of OHIM may be led to base their decisions on facts which have not been put forward by the applicant for the mark. OHIM is required to examine of its own motion the relevant facts which may lead it to apply an absolute ground for refusal (judgments in Storck v OHIM, paragraph 19 above, EU:C:2006:422, paragraph 50; of 15 March 2006 in Develey v OHIM (Shape of a plastic bottle), T‑129/04, ECR, EU:T:2006:84, paragraph 16; and of 12 April 2011 in Fuller & Thaler Asset Management v OHIM (BEHAVIOURAL INDEXING), T‑310/09 and T‑383/09, EU:T:2011:157, paragraph 29). 60 In invalidity proceedings, however, the Board of Appeal cannot be required to carry out afresh the examination that the Examiner conducted, of his own motion, of the relevant facts which could have led him to apply the absolute grounds for refusal. It follows from the provisions of Articles 52 and 55 of Regulation No 207/2009 that the Community trade mark is regarded as valid until it has been declared invalid by OHIM following invalidity proceedings. It therefore enjoys a presumption of validity, which is the logical consequence of the review carried out by OHIM in the examination of an application for registration (judgment of 13 September 2013 in Fürstlich Castell’sches Domänenamt v OHIM — Castel Frères (CASTEL), T‑320/10, ECR (Extracts), EU:T:2013:424, paragraph 27). 61 By virtue of that presumption of validity, OHIM’s obligation, under Article 76(1) of Regulation No 207/2009, to examine of its own motion the relevant facts which may lead it to apply absolute grounds for refusal, is restricted to the examination of the application for a Community trade mark carried out by the Examiners and, on appeal, by the Boards of Appeal during the procedure for registration of that mark. In invalidity proceedings, as the registered Community trade mark is presumed to be valid, it is for the person who has filed the application for a declaration of invalidity to invoke before OHIM the specific facts which call the validity of that trade mark into question (judgment in CASTEL, paragraph 60 above, EU:T:2013:424, paragraph 28). 62 However, while the presumption of validity of the registration restricts OHIM’s obligation to an examination of the relevant facts, it does not thereby preclude it, in particular as regards the matters put forward by the party challenging the validity of the contested mark, from relying, not only on those arguments and any evidence produced by that party in its application for a declaration of invalidity, but also, contrary to the applicant’s submission, on well-known facts observed by OHIM in the context of the invalidity proceedings (see, to that effect, judgment of 15 January 2013 in Welte-Wenu v OHIM — Commission (EUROPEAN DRIVESHAFT SERVICES), T‑413/11, EU:T:2013:12, paragraph 24 and case-law cited). 63 Thus, where, as in the present case, the intervener challenged the validity of the contested mark relying on matters in support of its application for a declaration of invalidity, the Board of Appeal was required to examine those matters, as it did, and to take into account the existence of well-known facts that the Examiner might have omitted to take into consideration in the registration procedure. 64 In that regard, it must be observed that the Board of Appeal stated, in paragraph 37 of the contested decision, that the finding that the chequerboard pattern was a basic and banal figurative feature composed of very simple elements was a well-known fact (see also, to that effect, paragraph 44 of the contested decision) and also considered whether that finding was substantiated by the evidence relied on by the intervener relating to the fact that the contested mark was not distinctive ab initio, having regard to evidence showing that the chequerboard pattern had been used in the decorative arts sector. 65 In proceeding in that way, the Board of Appeal must be held not to have breached the rules relating to the burden of proof. 66 It follows from the foregoing that the second limb of the first plea in law, and therefore that plea in its entirety, must be rejected. 67 The applicant complains, in essence, that the Board of Appeal (i) took into account the wrong date for the purpose of determining whether the contested mark had acquired distinctive character, and (ii) required that evidence of acquisition of distinctive character of the contested mark be produced for each of the Member States and not for a substantial part of the European Union. 68 According to the applicant, by affirming that the relevant dates for the application of Article 7(3) and Article 52 of Regulation No 207/2009 were, respectively, the filing date of the contested mark (18 September 1996) and its registration date (27 August 1998), the Board of Appeal took into account the wrong date. The applicant submits that the Board of Appeal should have taken into consideration the situation at the time when the intervener filed its application for a declaration of invalidity, namely 28 September 2009. 69 It must be noted that under Article 52(2) of Regulation No 207/2009, where the Community trade mark has been registered in breach of the provisions of Article 7(1)(b) to (d) of that regulation, it may nevertheless not be declared invalid if, in consequence of the use which has been made of it, it has after registration acquired a distinctive character in relation to the goods or services for which it is registered. 70 Thus, according to settled case-law, in order to be able to benefit from Article 52(2) of Regulation No 207/2009, the mark in respect of which a declaration of invalidity is sought must have acquired a distinctive character between the date of its registration and that of the application for a declaration of invalidity. It is for the proprietor of the mark to produce appropriate and sufficient evidence to show that the mark has acquired a distinctive character (order of 2 December 2009 in Powerserv Personalservice v OHIM, C‑553/08 P, ECR, EU:C:2009:745, paragraph 91; see judgment of 9 March 2011 in Longevity Health Products v OHIM — Performing Science (5 HTP), T‑190/09, EU:T:2011:78, paragraph 46 and case-law cited). 71 Although it is true, as the applicant points out, that the Board of Appeal stated, in paragraph 70 of the contested decision, that ‘the relevant dates for the application of Article 7(3) … and Article 52(2) [of Regulation No 207/2009 were] respectively the filing date of the contested [Community trade mark] (18 September 1996) and its registration date (27 August 1998)’, it must be stated that, by that wording, the Board of Appeal merely mentioned the time which should serve as a reference, on the one hand, in the context of Article 7(3) of Regulation No 207/2009, namely the filing date of the mark sought, and, on the other hand, in the context of Article 52(2) of that regulation, namely after the registration of the contested mark. 72 That is also borne out by paragraph 71 of the contested decision in which the Board of Appeal, while referring to the dates of 18 September 1996 and 27 August 1998, held that it had to be established ‘either that the contested [Community trade mark] had acquired distinctive character on account of the use which [had] been made of it in the 15 Member States of the European Union at the time of the filing date or that it [had] acquired such distinctive character on account of the use which [had] been made of it, after its registration in the then 15 Member States of the European Union’. 73 In that way, by referring to the use that had been made of the contested mark after its registration, the Board of Appeal necessarily based its assessment on the evidence that the applicant had put forward which was subsequent to the registration of the contested mark. 74 Furthermore, it is clear from paragraph 72 of the contested decision that the Board of Appeal, by referring to the evidence adduced by the applicant and by referring to the years 1996 and 2010 as regards the table of figures for the applicant’s goods sold between those two years, took into consideration all the evidence and did not declare inadmissible evidence that was later than the registration of the contested mark, or later even than the application for a declaration of invalidity of the mark (28 September 2009). 75 It follows that, notwithstanding the ambiguous wording in paragraph 70 of the contested decision, as OHIM also observes, the contested decision does not show in any way that the Board of Appeal erred as to the date that was required to be taken into consideration for the purpose of determining whether the contested mark had acquired distinctive character through use or omitted or refused to take into consideration all of the evidence adduced by the applicant, irrespective of the date of that evidence, so that the applicant is not justified in its complaint that the Board of Appeal took into account an incorrect date for the purpose of determining whether the contested mark had acquired distinctive character. 76 It follows from the foregoing that the first limb of the second plea must be rejected. 77 As regards the alleged error in respect of the extent of the territory on which the contested mark had acquired distinctive character, the applicant alleges that the Board of Appeal was wrong to require that proof be produced for each of the 15 Member States of which the European Union was then composed, when it should have required only that proof be produced to show that the distinctive character of the mark acquired through use had been acquired in a substantial part of the Union, even if the supporting evidence did not relate to each individual Member State. 78 Having regard to the fact that, according to the applicant, it can be inferred from the Board of Appeal’s reasoning that the latter considered that the documents produced by the applicant were sufficient to prove that the contested mark had acquired distinctive character through use in at least 11 Member States, that number was, in the applicant’s view, more than sufficient to meet the ‘substantial portion threshold’. In any event, the applicant submits that it also produced evidence of relevant use of the contested mark in Denmark, Portugal, Finland and Sweden (exhibits 4 and 7, filed with the applicant’s statement of 11 November 2011 setting out the grounds of appeal). 79 Article 7(3) of Regulation No 207/2009 provides that the absolute ground for refusal set out in Article 7(1)(b) of that regulation does not preclude the registration of a trade mark if it has become distinctive in relation to the goods for which registration has been requested in consequence of the use which has been made of it. 80 Similarly, Article 52(2) of Regulation No 207/2009 provides, inter alia, that, where the Community trade mark has been registered in breach of Article 7(1)(b), it may nevertheless not be declared invalid if, in consequence of the use which has been made of it, it has after registration acquired a distinctive character in relation to the goods or services for which it is registered. 81 It must also be stated in that regard that, under Article 165(1) and (4) of Regulation No 207/2009, evidence of distinctive character acquired through use must be produced only for the States that were members of the European Union at the time of filing the application for registration of the contested mark, namely, in the present case, the Union composed, as at 18 September 1996, of 15 Member States. 82 A sign devoid of inherent distinctive character which, in consequence of the use made of it prior to the filing of the application for its registration as a Community trade mark, has acquired distinctive character for the goods or services referred to in the application for registration is accepted for registration under Article 7(3) of Regulation No 207/2009, given that it is not a mark ‘registered contrary to the provisions of Article 7’. Article 52(2) of Regulation No 207/2009 is therefore wholly irrelevant to that situation. The latter provision covers, rather, marks whose registration was contrary to the grounds for refusal in Article 7(1)(b) to (d) of Regulation No 207/2009 and which, in the absence of such a provision, would have had to be declared invalid pursuant to Article 52(1) of Regulation No 207/2009. The precise purpose of Article 52(2) of Regulation No 207/2009 is to maintain the registration of such of those marks which, because of the use that has been made of them, have in the meantime — that is to say, after their registration — acquired distinctive character for the goods or services for which they were registered, in spite of the fact that, when it took place, such registration was contrary to Article 7 of Regulation No 207/2009 (judgment of 15 October 2008 in Powerserv Personalservice v OHIM — Manpower (MANPOWER), T‑405/05, ECR, EU:T:2008:442, paragraph 127). 83 It should also be borne in mind that Article 7(3) of Regulation No 207/2009 does not establish a separate right to have a trade mark registered. It allows an exception to the grounds for refusal listed in Article 7(1)(b) to (d) of that regulation. Its scope must therefore be interpreted in the light of those grounds for refusal (judgments in Geometric shapes on a watch-face, paragraph 24 above, EU:T:2009:324, paragraph 121, and of 17 May 2011 in Diagnostiko kai Therapeftiko Kentro Athinon ‘Ygeia’ v OHIM (υγεία), T‑7/10, EU:T:2011:221, paragraph 39). 84 It should also be recalled that, in accordance with Article 1(2) of Regulation No 207/2009, the Community trade mark has ‘a unitary character’, which implies that ‘[i]t shall have equal effect throughout the Community’. It follows from the unitary character of the Community trade mark that, in order to be accepted for registration, a sign must have distinctive character throughout the European Union. Thus, under Article 7(2) of Regulation No 207/2009, a mark is not to be registered if it lacks distinctive character in a part of the Union (judgment of 30 March 2000 in Ford Motor v OHIM (OPTIONS), T‑91/99, ECR, EU:T:2000:95, paragraphs 23 to 25). The part of the Union referred to in Article 7(2) may be comprised of a single Member State (judgments in Storck v OHIM, paragraph 19 above, EU:C:2006:422, paragraph 83, and of 7 September 2006 in Bovemij Verzekeringen, C‑108/05, ECR, EU:C:2006:530, paragraph 28; see also, point 45 of the Opinion of Advocate General Sharpston in the same case (EU:C:2006:221); judgments of 10 November 2004 in Storck v OHIM (Shape of a sweet wrapper), T‑402/02, ECR, EU:T:2004:330, paragraphs 85, 86, 88 and 89; of 12 September 2007 in Glaverbel v OHIM (Texture of a glass surface), T‑141/06, EU:T:2007:273, paragraphs 35, 38 and 40; Geometric shapes on a watch-face, paragraph 24 above, EU:T:2009:324, paragraph 134; of 29 September 2010 in CNH Global v OHIM (Representation of a tractor in red, black and grey), T‑378/07, ECR, EU:T:2010:413, paragraph 49; of 9 December 2010 in Earle Beauty v OHIM (NATURALLY ACTIVE), T‑307/09, EU:T:2010:509, paragraph 49; υγεία, paragraph 83 above, EU:T:2011:221, paragraph 40; of 6 July 2011 in Audi and Volkswagen v OHIM (TDI), T‑318/09, ECR, EU:T:2011:330, paragraph 46; and of 1 February 2013 in Ferrari v OHIM (PERLE’), T‑104/11, EU:T:2013:51, paragraph 38). 85 Article 7(3) of Regulation No 207/2009, which permits registration of signs that have acquired distinctive character through use, must be read in the light of those requirements. Consequently, it is necessary to establish the acquisition of distinctive character through use in all the territory in which the mark did not, ab initio, have such character (judgments in Storck v OHIM, paragraph 19 above, EU:C:2006:422, paragraph 83; Representation of a tractor in red, black and grey, paragraph 84 above, EU:T:2010:413, paragraph 30; and υγεία, paragraph 83 above, EU:T:2011:221, paragraph 41). 86 It follows from the unitary character of the Community trade mark that, in order to be accepted for registration, a sign must possess distinctive character, inherent or acquired through use, throughout the European Union. It would be paradoxical to accept, on the one hand, pursuant to Article 3(1)(b) of Directive 2008/95/EC of the European Parliament and of the Council of 22 October 2008 to approximate the laws of the Member States relating to trade marks (OJ 2008 L 299, p. 25), that a Member State has to refuse to register as a national mark a sign that is devoid of any distinctive character in its territory and, on the other hand, that that same Member State has to respect a Community trade mark relating to that sign for the sole reason that it has acquired distinctive character in the territory of another Member State (judgment of 14 December 2011 in Vuitton Malletier v OHIM — Friis Group International (Representation of a locking device), T‑237/10, EU:T:2011:741, paragraph 100). 87 Furthermore, in the case of non-word marks, such as that under consideration in the present case, it may be assumed that the assessment of distinctive character will be the same throughout the European Union, unless there is concrete evidence to the contrary. As the documents before the Court in this case do not show that such evidence exists, it must be held that there is an absolute ground for refusal under Article 7(1)(b) of Regulation No 207/2009 in relation to the mark applied for, throughout the European Union. That mark must therefore have acquired distinctive character through use throughout the Union in order to be registrable under Article 7(3) of Regulation No 207/2009 (judgments of 29 April 2004 in Eurocermex v OHIM (Shape of a beer bottle), T‑399/02, ECR, EU:T:2004:120, paragraph 47; Shape of a sweet wrapper, paragraph 84 above, EU:T:2004:330, paragraph 86; of 10 March 2009 in Piccoli v OHIM (Shape of a seashell), T‑8/08, EU:T:2009:63, paragraphs 37 to 39; and of 17 December 2010 in Chocoladefabriken Lindt & Sprüngli v OHIM (Shape of a chocolate rabbit), T‑395/08, EU:T:2010:550, paragraph 53). 88 It is also clear from the case-law that the acquisition of distinctive character through use of a mark requires that at least a significant proportion of the relevant section of the public identifies the products or services concerned as originating from a particular undertaking because of the mark (judgments in Shape of a beer bottle, paragraph 87 above, EU:T:2004:120, paragraph 42; of 15 December 2005 in BIC v OHIM (Shape of a lighter), T‑262/04, ECR, EU:T:2005:463, paragraph 61; and υγεία, paragraph 83 above, EU:T:2011:221, paragraph 42). However, the circumstances in which that requirement may be regarded as satisfied cannot be shown to exist solely by reference to general and abstract data (judgments of 4 May 1999 in Windsurfing Chiemsee, C‑108/97 and C‑109/97, EU:C:1999:230, paragraph 52, and υγεία, paragraph 83 above, EU:T:2011:221, paragraph 45). 89 The Court of Justice has stated that, in determining whether a mark has acquired distinctive character because of the use made of it, the competent authority must make an overall assessment of the evidence that the mark has come to identify the goods concerned as originating from a particular undertaking, and accordingly to distinguish them from goods of other undertakings (judgments in Windsurfing Chiemsee, paragraph 88 above, EU:C:1999:230, paragraph 49; Shape of a lighter, paragraph 88 above, EU:T:2005:463, paragraph 63; and υγεία, paragraph 83 above, EU:T:2011:221, paragraph 43). 90 In that regard, account must be taken, inter alia, of the market share held by the mark, how intensive, geographically widespread and long-standing use of the mark has been, the amount invested by the undertaking in promoting the mark, the proportion of the relevant class of persons who, because of the mark, identify the product as originating from a particular undertaking, statements from chambers of commerce and industry or other trade and professional associations as well as opinion polls (see judgments in Shape of a lighter, paragraph 88 above, EU:T:2005:463, paragraph 64 and case-law cited, and υγεία, paragraph 83 above, EU:T:2011:221, paragraph 44). 91 It necessarily follows from the foregoing, and in particular from paragraph 84 above, that when a contested mark is devoid of any distinctive character in the European Union as a whole, the acquisition of distinctive character by that mark must be established in relation to each of the Member States. 92 Admittedly, the Court has held that, even though it is the case, in accordance with the judgment in Storck v OHIM, paragraph 19 above (EU:C:2006:422), that the acquisition by a mark of distinctive character through use must be established for the part of the European Union in which that mark did not, ab initio, have such character, it would be unreasonable to require proof of such acquisition for each individual Member State (judgment of 24 May 2012 in Chocoladefabriken Lindt & Sprüngli v OHIM, C‑98/11 P, ECR, EU:C:2012:307, paragraph 62). 93 Nevertheless, it must be stated that, by referring, in paragraphs 60 and 61 of the judgment in Chocoladefabriken Lindt & Sprüngli v OHIM, paragraph 92 above (EU:C:2012:307), to the case-law holding that a mark could be registered only if it was established that it had acquired, through the use which had been made of it, distinctive character in the part of the European Union in which it did not, ab initio, have such character, which had to be the European Union as a whole, the Court did not depart from its case-law, in particular, from the judgment in Storck v OHIM, paragraph 19 above (EU:C:2006:422). 94 It is in the light of those considerations that it must be determined whether the Board of Appeal was correct to find that the applicant had failed to prove that the contested mark had distinctive character acquired through use. 96 It is also necessary to point out that the applicant relied on a survey that was taken into consideration by the Board of Appeal in paragraphs 18 and 55 of the contested decision. The applicant further stated that it had also adduced evidence of relevant use of the contested mark in Denmark, Portugal, Finland and Sweden. 97 As a preliminary point it should be noted that, in the proceedings before OHIM, as the Board of Appeal correctly observes in paragraph 63 of the contested decision, the applicant never claimed that the items referred to above were intended to show that the contested mark had acquired distinctive character through use. 98 Thus, in its statement dated 22 September 2010 before the Cancellation Division, in response to an argument made by the intervener which considered that the applicant claimed the acquisition of distinctive character through use, the applicant stated that ‘the proprietor never claimed that the contested mark [had] acquired distinctiveness through use’ and that ‘[it had] always maintained that the DAMIER [was] inherently distinctive, and [had] only [drawn] attention to the fact that such inherent distinctiveness was further increased through almost 15 years of extensive use’. 99 Similarly, in its statement of 11 November 2011 before the Board of Appeal, the applicant submitted that the documents referred to in paragraph 95 above were intended to show the ‘increased’ distinctive character of the contested mark, but that they were not intended to prove that the contested mark had acquired distinctive character through the use that had been made of it. 100 As regards the applicant’s submission before the General Court, in particular the argument that it repeated at the hearing in response to a question from the Court, it cannot be inferred from the contested decision that the Board of Appeal considered that the documents which the applicant had adduced and which are referred to in paragraph 95 above were sufficient to prove that distinctive character had been acquired through use in at least 11 Member States. 101 It should be noted that the Cancellation Division merely found that distinctive character had not been acquired through use in at least 4 of the 15 Member States of which the European Union was at that time composed, namely the Kingdom of Denmark, the Portuguese Republic, the Republic of Finland and the Kingdom of Sweden, and that that was sufficient to support the conclusion that the evidence submitted by the applicant did not prove that the contested mark had acquired distinctive character through use in the European Union. 102 In proceeding on the basis of the case-law according to which the acquisition of distinctive character through use must be established in relation to each Member State in which the contested mark lacked such character ab initio, the Cancellation Division implicitly, but necessarily, considered that it was not essential to check the veracity and evidential value of the documents relating to the other 11 Member States. 103 That finding was confirmed, in paragraphs 73 and 74 of the contested decision, by the Board of Appeal, which endorsed the Cancellation Division’s conclusion that, in particular, as regards Denmark, Portugal, Finland and Sweden: ‘no inference as regards the perception of the relevant public could be made from the list of registered marks (Exhibit 1) nor from the sales and turnover figures given the absence of clear indication as to the mark and the goods concerned (Exhibit 4) and from the mere presence of a store in a certain country (Exhibit 7)’. 104 It must be pointed out that, as regards the four Member States concerned, namely, Denmark, Portugal, Finland and Sweden, the applicant has not, having regard to the case-law set out in paragraph 90 above, filed any document containing information as to: the market share held by the contested mark; the intensity and amount of the investments made by the company to promote the mark; the proportion of the relevant class of persons who, because of the contested mark, identified the product as originating from a particular undertaking; and, has not submitted any statement from chambers of commerce and industry or other professional associations. 105 At the hearing, the applicant’s lawyer, in response to a question asked by the Court, confirmed that he had not provided any of the information referred to in paragraph 104 above because the applicant did not know the case-law and that only the information made available to him had been used in the administrative procedure. 106 Even assuming that the applicant were claiming that the documents submitted for assessment by the Board of Appeal that are listed in paragraph 95 above establish that the contested mark has acquired distinctive character through use in Denmark, Portugal, Finland and Sweden, it is necessary to make the following observations. 107 First, as regards the document, originating from the applicant, referring to the turnover achieved on the sale of goods bearing the contested mark (exhibit 4 referred to in paragraph 95 above), the figures given are set out in mere print-outs, without any other detail or certification. 108 As regards documents filed which originate from the undertaking itself, the Court has held that, in order to assess their evidential value, regard should be had first and foremost to the credibility of the information that they contain. The Court added that it is then necessary to take into account, in particular, the person from whom the document originates, the circumstances in which it came into being, the person to whom it was addressed and whether, on its face, the document appears sound and reliable (judgments of 7 June 2005 in Lidl Stiftung v OHIM — REWE-Zentral (Salvita), T‑303/03, ECR, EU:T:2005:200, paragraph 42, and 16 November 2011 in Dorma v OHIM — Puertas Doorsa (doorsa FÁBRICA DE PUERTAS AUTOMÁTICAS), T‑500/10, EU:T:2011:679, paragraph 49). 109 In the present case, it must be held that the document referring to the turnover achieved on the sale of goods bearing the contested mark, which originated from the applicant itself, cannot, given its origin, therefore, in itself, constitute sufficient proof of that mark’s acquisition of distinctive character through use. The figures that are set out in that document are, therefore, indicative only and need to be corroborated by other evidence (see, to that effect, judgment in Shape of a lighter, paragraph 88 above, EU:T:2005:463, paragraph 79). 110 Thus, in the absence of any other evidence to substantiate the information contained in that document, in particular other accounting documents certified by a firm qualified to certify those accounts, which could corroborate the figures set out in it, it must be held that that document, examined in the light of all the other evidence submitted by the applicant in the administrative procedure, cannot prove that the contested mark has acquired distinctive character through use. 111 Failing any other objective evidence, it would be to give credit, without any justification, to a single document printed on plain unheaded paper, evidence that could later be used by any other undertaking to support the view that the standard of proof of distinctive character acquired through use could be met on the basis of probabilities or suppositions, which the case-law has always rejected (see, to that effect, judgment of 10 September 2008 in Boston Scientific v OHIM — Terumo (CAPIO), T‑325/06, EU:T:2008:338, paragraph 34 and case-law cited). 112 Second, the presence of shops in the different Member States (exhibit 7 referred to in paragraph 95 above) likewise does not provide any indication as to the perception of the contested mark by the public concerned. 113 Third, as regards the extracts from catalogues and brochures, the advertisements and photographs of personalities wearing a product bearing the contested mark, and, likewise, the photographs of the goods showing the chequerboard pattern of the contested mark, which have been added to the case-file (exhibits 2, 5 and 6 referred to in paragraph 95 above), that material is insufficient, even if it is examined in the light of all the other evidence submitted by the applicant and listed in paragraph 95 above, to demonstrate that a significant part of the relevant public will identify the goods concerned as originating from the applicant because of the contested mark. 114 The catalogues and brochures are provided only in French and English, so that, unless the applicant establishes that there are different versions of the catalogue, those catalogues and brochures cannot prove the acquisition of distinctive character through use at the very least for the four Member States concerned. Furthermore, there is no evidence to show that those catalogues are distributed amongst the relevant public and are not a tool internal to the applicant that is made available to its employees for the purpose only of the in-store sale of the items that appear in it. 115 Moreover, the photographs of various personalities carrying goods bearing the contested mark or advertisements of goods bearing that mark prove only that the applicant has used the brown and beige chequerboard pattern and do not demonstrate that the target public for the goods in question perceives that mark as an indication of commercial origin (see, to that effect, judgment in Representation of a tractor in red, black and grey, paragraph 84 above, EU:T:2010:413, paragraph 57). 116 Fourth, as regards the survey as to the perception by the class of persons concerned, which the applicant produced in the administrative procedure and which the Board of Appeal considered in paragraphs 18 and 55 of the contested decision, it must be held that that survey was carried out amongst consumers of luxury leather goods only and only in Germany, Spain, France, Italy and the United Kingdom. Besides the fact that the survey does not cover the average consumer in the European Union, taken to be reasonably well informed and reasonably observant and circumspect (see paragraph 27 above), but only consumers of luxury goods in five Member States of the European Union, it does not in any way concern the perception of the contested mark but rather the Louis Vuitton mark itself, so that it gives no indication as regards the perception of the contested mark alone even by that limited public amongst whom the survey was carried out. 117 For all of those reasons, it must be held that, in any event, the applicant has not demonstrated that the contested mark had, in Denmark, Portugal, Finland and Sweden, acquired distinctive character in consequence of the use that had been made of it. 118 It is apparent in particular from the judgment in Texture of a glass surface, paragraph 84 above (EU:T:2007:273, paragraphs 35, 38 and 40), that the lack of proof in respect of Denmark, Finland, Sweden, Greece and Ireland was sufficient to justify the refusal of registration. 119 As regards the applicant’s submission based on the extrapolation to the requirements of Article 7(3) of Regulation No 207/2009 of the case-law relating to the acquisition of a reputation, which must be shown in a substantial part of the European Union and not in every Member State, the Court has already held that the case-law relating to Article 7(3) of Regulation No 207/2009 must not be confused with that defining the meaning of the phrase ‘has a reputation’ in a Member State or in the European Union within the meaning of Article 9(1)(c) of Regulation No 207/2009, which is a condition that a registered mark must satisfy in order to enjoy protection extending to non-similar goods or services. That case does not involve the examination of whether a sign satisfies the conditions for registration as a Community trade mark throughout the European Union. Rather, it involves preventing the use of a sign where an existing mark has a reputation either in a Member State or the European Union and the use of the sign without due cause takes unfair advantage of, or is detrimental to, the distinctive character or reputation of that mark. Thus, the Court of Justice has held that, as regards territory, the existence of a reputation in a substantial part of the Community was sufficient to prohibit use of that sign (judgments in Representation of a tractor in red, black and grey, paragraph 84 above, EU:T:2010:413, paragraph 47, and of 29 January 2013 in Germans Boada v OHIM (Manual tile-cutting machine), T‑25/11, EU:T:2013:40, paragraph 70; see also, to that effect, judgments of 14 September 1999 in General Motors, C‑375/97, ECR, EU:C:1999:408, paragraphs 28 and 29, and 6 October 2009 in PAGO International, C‑301/07, ECR, EU:C:2009:611, paragraphs 27 and 30). 120 It was, therefore, for the applicant to prove the acquisition of distinctive character through use in the part of the European Union in which the contested mark was devoid of any distinctive character ab initio, which is, in the present case, the whole of the European Union. However, as is clear from paragraph 104 above, the applicant has not filed any of the evidence referred to in the case-law recalled in paragraph 90 above and the evidence adduced by the applicant, as set out in paragraph 95 above, does not demonstrate that the contested mark has acquired distinctive character through use in Denmark, Portugal, Finland and in Sweden. 121 It follows from the foregoing that the second limb of the second plea, and therefore the second plea in its entirety, must be rejected. 122 It follows that the action must be dismissed in its entirety. 123 Under Article 87(2) of the Rules of Procedure of the General Court, the unsuccessful party is to be ordered to pay the costs if they have been applied for in the successful party’s pleadings. Since the applicant has been unsuccessful, it must be ordered to pay the costs, in accordance with the form of order sought by OHIM and the intervener. 2. Orders Louis Vuitton Malletier to pay the costs. Delivered in open court in Luxembourg on 21 April 2015.